Bitcoin exchange Unocoin has raised $1.5 million (Rs 10 crore) in a pre-Series A funding round led by early-stage investor Blume Ventures. Mumbai Angels, ah! Ventures and international investors such as Digital Currency Group, Boost VC, Bank to the Future and FundersClub also invested in this round, the startup said in a statement. "It's no secret that usage of bitcoin is picking up rapidly and the concept has seen a warm welcome from freelancers and retailers in India," said Harshad Lahoti, founder and chief executive of ah!Ventures. ". That's when Unocoin, a venture backed by a strong team with industry acumen and a rocketing number of users, caught our attention." The Bengaluru-based startup had earlier raised $250,000 (Rs 1.52 crore) in August 2014 from SecondMarket founder Barry Silbert's Bitcoin Opportunity Corp.
Unocoin was founded in December 2013. It has four co-founders—Sathvik Vishwanath, who is CEO, Sunny Ray (president), Abhinand Kaseti (CMO) and Harish BV (CFO). It allows users to buy bitcoins through any Indian bank account. 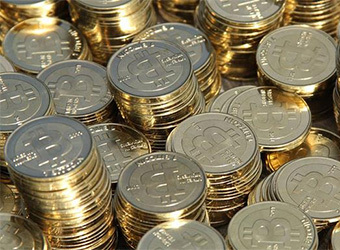 Users will receive the value in Indian rupees when they sell the bitcoins. Launched in 2009, bitcoin is cryptocurrency and is built on the block-chain technology, which has several applications. Cryptocurrency refers to currency that is encrypted in the generation and transfer of funds. Other players in the segment are Zebpay, which secured around $1 million (around Rs 6.6 crore) in Series A funding from Claris Life Sciences CMD Arjun Handa, Jindal Worldwide MD Amit Jindal and other unnamed investors in January this year, and Abra, which raised funding from Tata Sons' chairman emeritus Ratan Tata and American Express in October 2015. While Zebpay allows users to buy, sell and make purchases on e-commerce sites, Abra is a digital wallet that uses peer-to-peer technology to transfer funds.